Welcome to Chambers Family Dentistry. 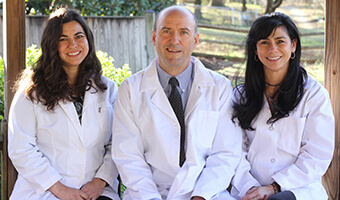 Our Annapolis, MD dentists and team offer superior dental care for patients of all ages in a comfortable, modern office. With nearly two decades serving Annapolis dental patients, our history of excellence makes us a go to office for dental care in the area, and we’re proud to have the opportunity to serve multiple generations of families. From basic preventive exams and cleanings to advanced treatments using state-of-the-art technologies, our team of skilled dentists provides these treatments in complete comfort. Our team has experience in many innovative procedures including dental implant supported tooth replacement and pain relieving TMJ dysfunction therapies. If you’re new to the area or looking for a new dental office that provides treatment for all ages, Chambers Family Dentistry may be just what you’re looking for. Contact our team to find out more or schedule your first appointment. We look forward to seeing you soon.